Today, for the first time, I made mayonnaise. And then I cried. 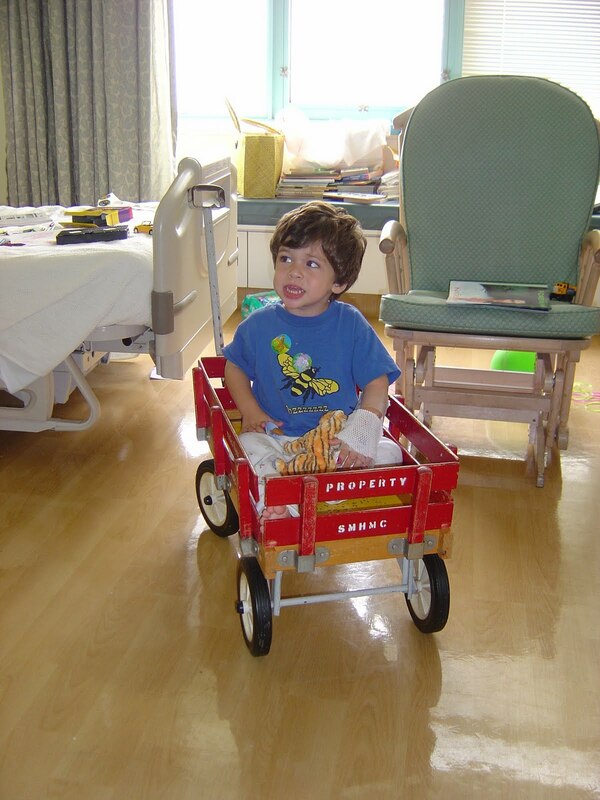 Seven years ago this weekend, my younger son, Weston, got sick. Really sick. He was two years old. Days of violent diarrhea took us to the emergency room - not the best place to be on a holiday weekend. On Memorial Day, the tests came back showing salmonella. The salmonella bacteria had entered his bloodstream. Salmonella sepsis is life-threatening, especially in the very old, the immunocompromised, and the very young. Weston was very, very young. They put him in the hospital, put tubes in his little arms, dripped antibiotics into his little veins. The first antibiotic didn't work. The second one, stronger, did. After a few days in the hospital the diarrhea slowed. The craters under his cheekbones filled in. He started to smile a little, started to eat a little. I gave him french fries, chocolate milk, ice cream, pancakes with awful hospital syrup. Anything to make the bones disappear back into his skin. Weston could have died. In a third-world country he probably would have. We don't know how he got salmonella. The whole family had been eating the same things. It wasn't from raw eggs. 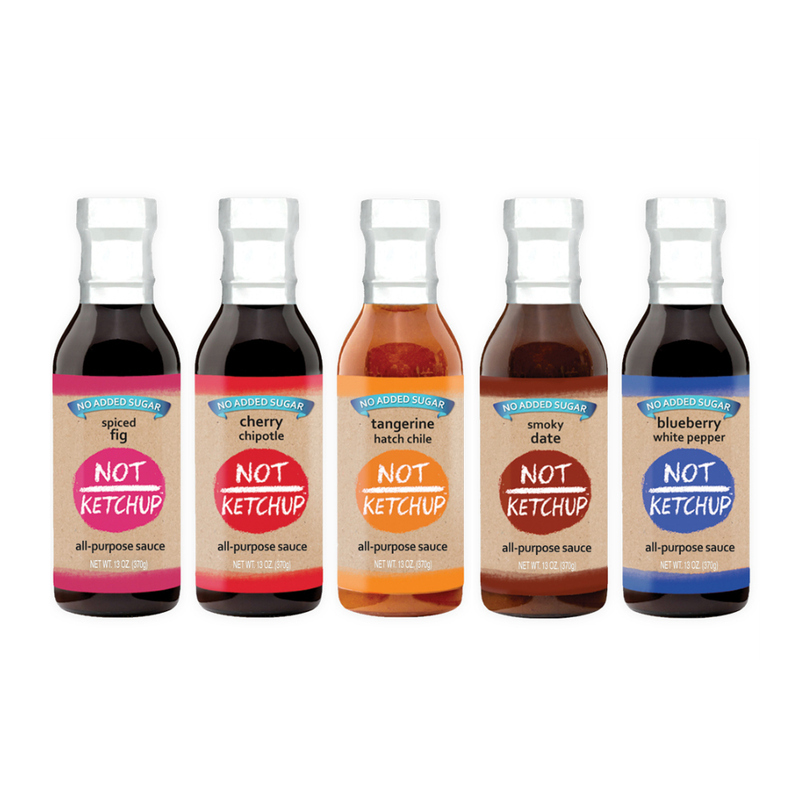 Our best guess is unwashed strawberries (they're often fertilized with chicken manure) or undercooked chicken sausage. None of the rest of us got sick. But salmonella finds the very old, the immunocompromised, and the very young. Every night before Weston goes to sleep he asks me to tell him a story. He prefers stories about when he was a baby. One night I tried to tell him the story of his battle with salmonella poisoning. He stopped me cold. "I don't ever want to hear that one," he said. For the past seven years I have refused to make homemade mayonnaise. I have refused to make a real Caesar salad. No hollandaise, no poached eggs, no eggs over easy. No runny yolks, period. You can understand why. Raw eggs didn't give Weston salmonella, but four out of five reported cases of salmonella come from raw eggs. Food-borne illness seems like a longshot, raw eggs a chance worth taking. Until it happens to you. Or, worse, to your baby. I met the people from Safest Choice Eggs at Camp Blogaway a few weeks ago. They've found a method of pasteurizing raw eggs in the shell. Milk is pasteurized at high temperature for a short time. 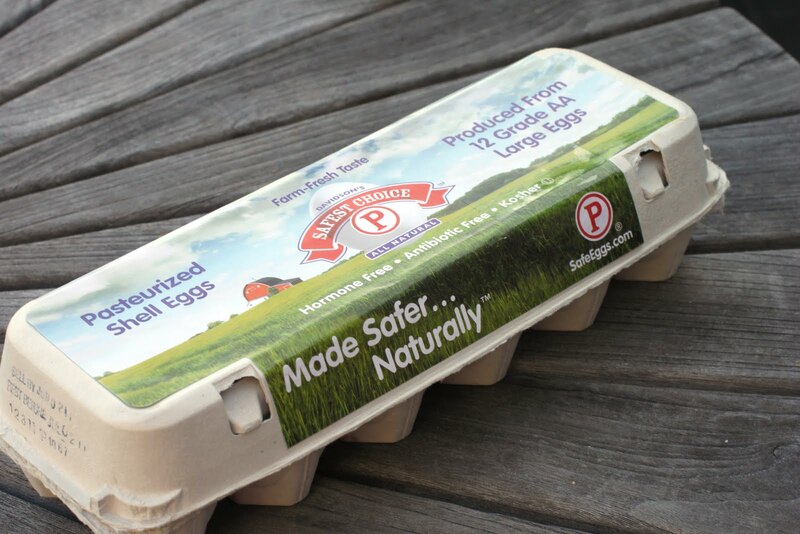 Safest Choice Eggs are pasteurized at low temperature for a long time. They look, feel and act like any other raw egg. Except they have zero chance of giving you salmonella. Which means you can make mayonnaise, hollandaise, Caesar salad, eggnog, and all the other delicious things raw eggs make possible. With zero percent chance of getting sick. 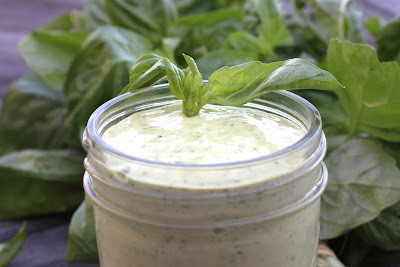 I like basil mayonnaise on a tomato sandwich - what about you? Today, for the first time, I made mayonnaise. And then, yes, I cried. And then I sat down to write. Because Weston may not want to hear the story of the time he got salmonella poisoning and could have died. But you should hear it. It's an important story for everyone who eats and especially for those of us who feed our families. Food-borne illness is real. Some chances are not worth taking. Thanks to Safest Choice Eggs for the recipe and the eggs (all Camp Blogaway attendees got a coupon for a free carton). I see grilled chicken sandwiches in my future. Combine the whole egg, egg yolk, lemon juice, vinegar, mustard and salt in a blender or food processor. Pulse to combine.With the motor running, dribble in the olive oil very slowly. The mayonnaise will emulsify and thicken. 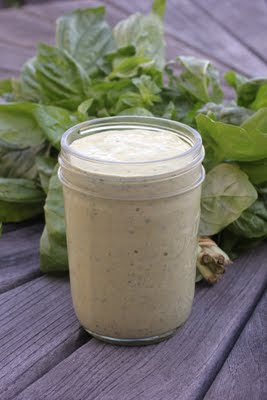 It should take at least three or four minutes to add all the oil.When the mayonnaise is creamy and thickened, add the basil to the blender or food processor and pulse until it's combined with the mayonnaise.Serve as a dip with cut-up vegetables, as a sauce with grilled chicken or fish, or on a tomato sandwich. Note: I was not compensated in any way by Safest Choice Eggs for this post, other than the free carton of eggs and the stuffed salmonella toy they sent home for Weston. Thank goodness we have the technology now to make it safe for everyone to use raw eggs! And thank goodness your little one pulled through that very scary time! That is such a scary story, fraught with those "what-if" moments that stay with parents forever. I'm one of those that takes a chance now and then on raw eggs (tasting batters and doughs, mostly), but I love that Safest Choice Eggs has taken the risk out of that equation. 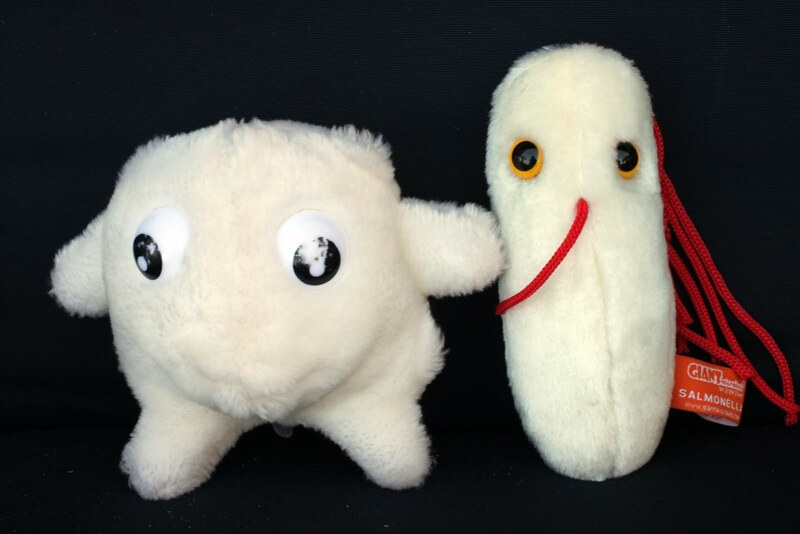 Even better, I love the stuffed blood cell and salmonella microbe. Be sure to post updates on their battle! It must have been a scary thing. And he is alright now. Hopefully, he will not remember the bad episode. I have been told by parents that I was in the hospital when I was 3 for eating eggs. I was in the oxygen type tent thing. I'm encouraging my daughter to read this (even though I know she's already careful). I can't imagine the fear you experienced when your baby became ill...I would hate to think the same would happen to my two-year old grandson. I always take extra care in washing fruit and use a brush when possible. It's great to know that pasteurized eggs are available! Thank you for such an informative post! I'll post your link to this blog on Facebook and Twitter! Sorry to hear about your son. How scary but I'm glad he's ok. Thanks for sharing his story & also sharing about these "safe" eggs. I'll be sure to look for them when I make my weekly grocery trip. I get nervous when I make over easy eggs, I try to make them over-hard just because I get so nervous! Thanks for providing a safe alternative. Erika, this was not an easy story to read without my heart sinking. I think you did a great job here, considering how tough the experience must have been. It took a lot of courage for you to serve your family a raw egg food. I am sure the egg company appreciates the shout-out for their product. Erika - Thank you for sharing such a personal story; salmonella is not to be taken lightly. I thought of you and Weston when I cracked open a farm-fresh egg over the weekend and watched the whites dribble over the (unwashed) shell before falling into the bowl. I threw out the egg, scrubbed the rest, then started over again. That is such a moving story! Who sells these egss, I have never heard of them before! Kinda strange to read abaout salmonella in a foreign language for me, i'm from Mexico and this kind of stories are very common. Great blog, i like it. Wow, I'm so glad your son made it through that harrowing episode. I don't blame him for not wanting to hear the story again. My friend's toddler recently had salmonella poisoning, too, and thankfully he survived it, as well. This post should help us all not to be so cavalier about thinking it won't happen to us. Thank you. Your story gave me chills. What a horrific experience. But how can we clean fruits and vegetables that might be contaminated with salmonella? FamilySpice - Thorough washing with water should do it. Remember to wash things like melons before you cut them - bacteria on the outside can contaminate the flesh when you cut them.